The LTO Program technology provider companies HP, IBM and Quantum announced that the adoption rate of LTO-6 tape cartridges is faster than that of the prior generation. The upward trend in shipments comes as more storage managers, content developers and information technology professionals turn to LTO technology for a safe, reliable and cost-effective storage solution amid the growing amount of data and content that is being generated in the digital era. The required digital storage capacity used in the entertainment industry alone is expected to increase by more than 500% by 2018. 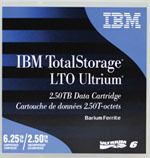 LTO technology also continues to lead the tape storage industry as it surpasses new milestones. According to a recent study, more than 4.4 million LTO drives have been shipped since the beginning of the program (through year-end 2012). Another milestone was reached as the 225 millionth LTO cartridge was shipped. The aggregate capacity of these cartridges represents the potential of more than 90,000PB of data protected and retained using LTO technology. Despite the increased uptake in the newest generation of LTO tape, the previous LTO-5, introduced three years ago, remains popular as drive shipments maintained double-digit growth over the prior year. LTO technology continues to be, by far, the strongest performer in the tape industry. With the recent introduction of LTO-6 technology, we anticipate this trend to continue. 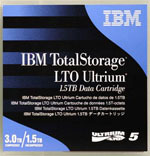 LTO-6 products have been available since fourth quarter last year and support a tape cartridge storage capacity of up to 6.25TB - assuming a 2.5:1 compression achieved with larger compression history buffer available beginning with LTO generation 6 drives - which is more than twice the compressed capacity over the previous generation. LTO-6 drives and tapes also feature data transfer rates of up to 400MB/s with compression, translating to more than 1.4TB of compressed data per hour. As with previous generations, LTO-6 drives provide backward compatibility with the ability to read and write LTO Generation 5 cartridges and read LTO-4 cartridges. In addition, the LTO-6 format includes a partitioning functionality, first introduced in LTO-5 technology, enabling users to present a tape-based file system with the use of the LTFS. With continued support for hardware-based encryption and WORM functionality, LTO Ultrium Generation 6 tape technology is designed to provide a balance of performance, capacity, compatibility and cost control and to support a range of safe, secure and portable storage options for backup and archive. While new applications for the use of data continue to be introduced at a rapid pace, LTO technology is the one constant when it comes to a cost-effective, reliable and compatible solution to retain and protect this data.